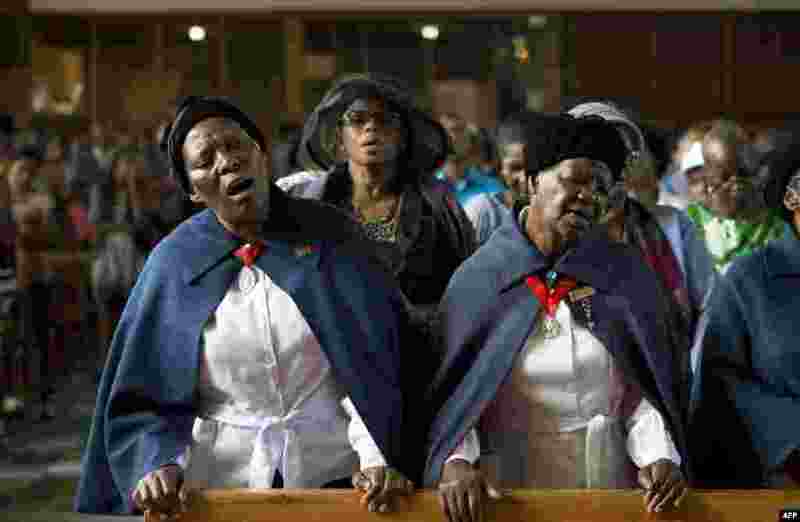 1 Women sing during a mass commemorating the late South African former President Nelson Mandela in Soweto, near Johannesburg. 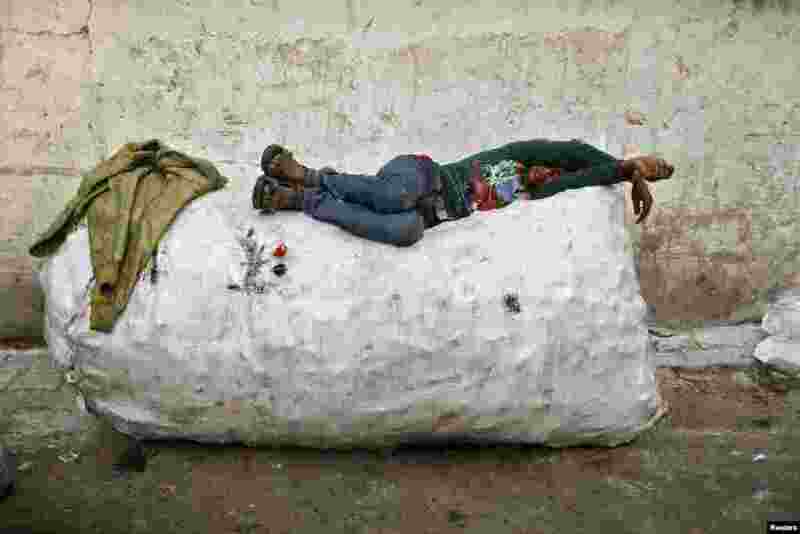 2 A rag picker takes a nap on a sack filled with used plastic bottles, on the side of a road in New Delhi, India. 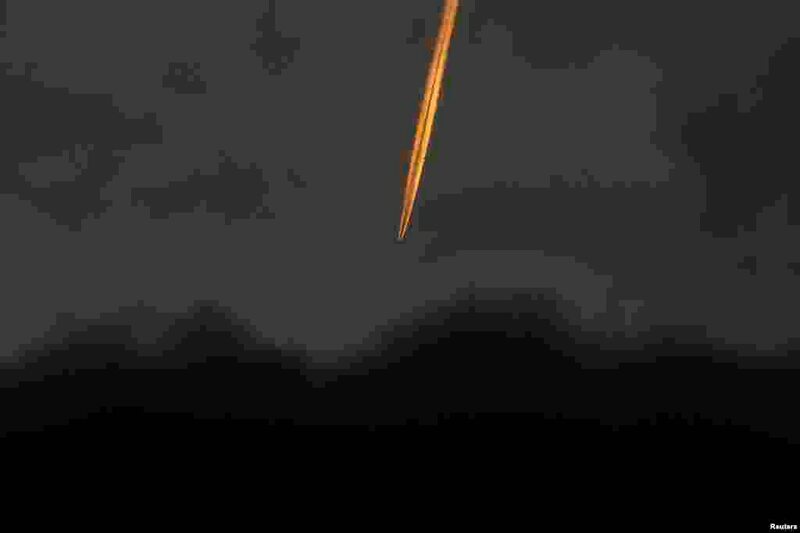 3 Contrails are seen in the sky as a plane flies over the St. Mary's stadium in Southampton during the English Premier League soccer match between Manchester City and Southampton, Dec. 7, 2013. 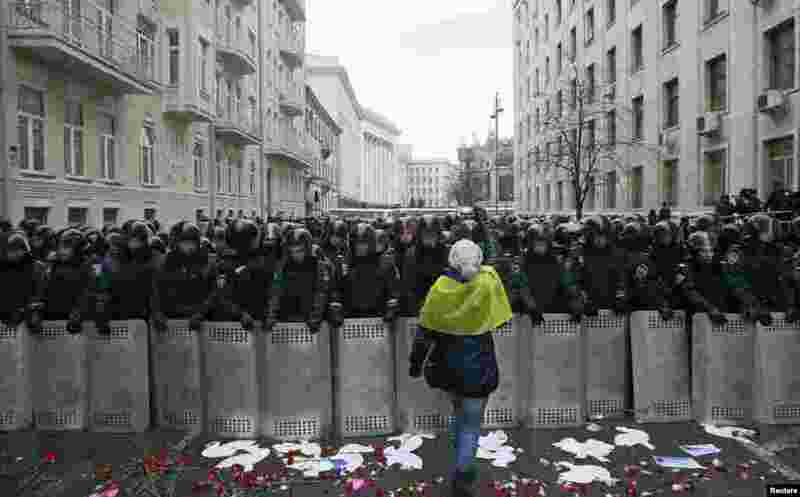 4 Riot police and Interior Ministry personnel block a street during a rally organized by supporters of EU integration in central Kyiv, Ukraine.